The 300-hour Yoga Teacher Training curriculum at West East Yoga is registered with Yoga Alliance, a national yoga teacher and school registry which promotes and supports the integrity and diversity of the teaching of yoga. The course includes 15 weekend intensive classes along with assigned readings, homework, and observation-hour requirements. Our comprehensive “bridge” program is designed to give students who already have been certified at the 200-hour level a deeper knowledge of yoga techniques, philosophy, anatomy and teaching methodology. 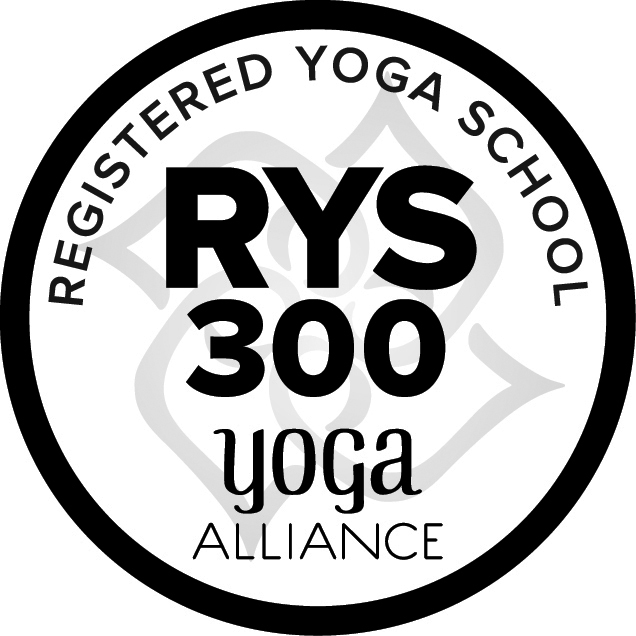 Upon successful completion of the 300-YTT course, students will be awarded a certificate of completion and be eligible for registration with Yoga Alliance as a Registered Yoga Teacher (RYT) at the 500 hour level. Yoga Techniques Training Practice (50 clock hours) – includes group practice of asana in Sivananda, Iyengar and Hatha yoga styles; pranayama; chanting; mantra; meditation; and other traditional yoga techniques. These hours will be a mix between guided practice of the techniques as well as analytical training in how to teach and practice the techniques. Includes participation in a graduation retreat day of practice held the last day of the program with a special guest lecturer. The cost is $50 (see “Additional Fees” section below). Time will be divided as follows: 65% lab (actual practice of techniques) and 35% lecture. Yoga Teaching Methodology (5 clock hours) – includes principles of demonstrating and teaching yoga postures, basics of sequencing, class observation, how to safely assist/correct yoga students, teaching styles, qualities of a teacher, student’s process of learning and business aspects of teaching yoga. Time will be divided as follows: 50% lab (actual practice of techniques) and 50% lecture. Anatomy and Physiology (21 clock hours) – includes both human physical anatomy and physiology and energy anatomy (chakras). Topics will include both the study of the subject and application of its principles to yoga practice (benefits, contraindications, healthy movement patterns, etc.). Students will participate in a 2 hour field trip to a cadaver lab. The cost is $20 (see “Additional Fees” section on page 5). These hours are 100% lecture and % lab. Yoga Philosophy: Lifestyle and Ethics for Yoga Teachers (30 clock hours) – includes the study of yoga philosophies from the Yoga Sutra and Bhagavad Gita, yoga lifestyle and ethics for yoga teachers. These hours are 100% lecture. Yoga Practicum (200 clock hours) – includes practice teaching, receiving feedback, observing others teaching and hearing/giving feedback. Also includes assisting students while someone else is teaching. The practicum hours are evaluated by the Program Director based on the following skills: explanation and correction of the postures, tone of voice, managing of the class, mentioning benefits and breathing techniques, providing feedback to the students after the class is over. These hours are 100% lab. Prospective students must be at least 18 years of age or with Program Director approval and have a basic knowledge of yoga. The requirements are a minimum of one year of personal yoga experience and a regular yoga practice along with a commitment to participating fully in this program. An open mind and a desire to learn are important for successful students. Students will not be discriminated against based on race, ethnicity, gender, age, sexual orientation, religion, or physical ability. Prospective students wishing to apply for admission must submit a completed and signed Application for Admission along with a deposit of $300 made payable to the school. Prospective students must schedule an admission interview in person, with the Program Director to determine eligibility and appropriateness of participation in the program. Upon acceptance into the program, the student will be notified by the Program Director. Prospective students must demonstrate the ability to pay for the program and make satisfactory arrangements for payment of tuition. Once admitted to the program students will complete an enrollment agreement detailing the payment options, cancellation and refund policies. The enrollment agreement must be completed prior to the first class meeting. The student can cancel the Enrollment Agreement without penalty by directly (in person, in writing, or by telephone) notifying the Program Director or Program Administrator within 3 business days (excluding Saturday, Sunday and holidays) of the signing of the Enrollment Agreement. If cancellation notification is received within 3 business days, full refund of any deposits will be made to the student or to a third party designated by the student within 14 days of receipt of the cancellation notification. If a third party makes the deposit payment, the deposit will be refunded to that third party. If a student chooses to cancel the agreement after 3 business days, no deposit refund will be made. After submitting a written payment agreement at the time of enrollment, students will be able to make payments via an online system which will apply to their tuition balance. Students may determine the amount and frequency for which they wish to complete payments. Tuition must be paid in full prior to graduation to be eligible to receive their certificate of completion. Students require the following books for study (purchase pricing noted below is approximate). Total cost of required books is approximately $100 new and $46 used. All students are required to have their own yoga mat. The estimated cost is from $20 to $75 depending on the type of mat purchased. Although not mandatory, students are also encouraged to purchase their own yoga blanket, two yoga blocks and a yoga strap, however students will be able to use equipment provided at the host center, including yoga mats, blankets, blocks, straps, floor seats and folding chairs. $30 Anatomy/Cadaver Lab through Logan Chiropractic.